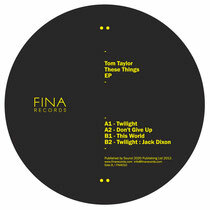 Fina Records return with a six-track EP entitled ‘These Things’ by Leeds-based producer Tom Taylor, backed with mixes from Jack Dixon and Clive Henry & Rui Da Silva. Fina Records launched back in 2011 and has already released cuts from the likes of Leif, Mic Newman, Simon Baker and MAM (Miguel Campbell & Matt Hughes). This release from local talent Tom Taylor marks a milestone for the label as they reach their tenth release. Taylor is most-notably known for his work with labels such as 2020 Vision, Poker Flat and Dessous. The release opens with ‘Twilight’, a smooth, ethereal number employing gentile filtered melodies, a whispering vocal hook and off-kilter broken beats all of which are seemingly ever-evolving for its seven minute duration. Following is ‘Don’t Give Up’, a chuggy, slo-mo track, driven by punchy disco drums, soulful vocal licks and a cosseting pad-line. Next up is ‘This World’, a piano-driven, groove-led track focusing on steady progression and subtle background automation. 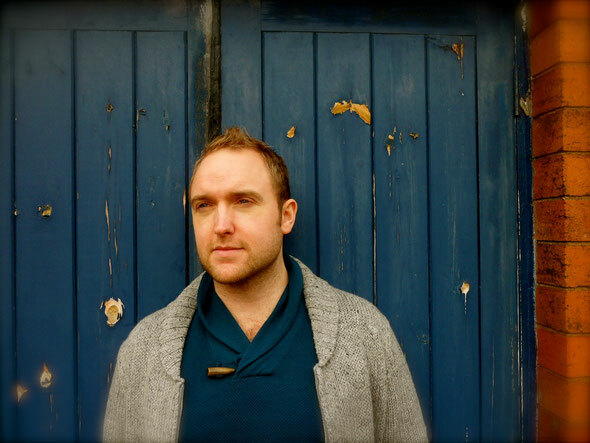 Stepping up on remix duties is Jack Dixon reworking ‘Twilight’, the Hotflush artist strips back the vibe of the original with sparse, weighty drums and infuses drawn out reverb tails and elongated echoes into the depths of the background alongside a heady synth line. Closing the release are the digital exclusives, firstly Clive Henry teams up with Rui Da Silva to reshape ‘This World’, the duo instill a raw energy to the original, adding sharp keys and dark atmospherics that slowly blossom towards a huge reverb soaked breakdown.